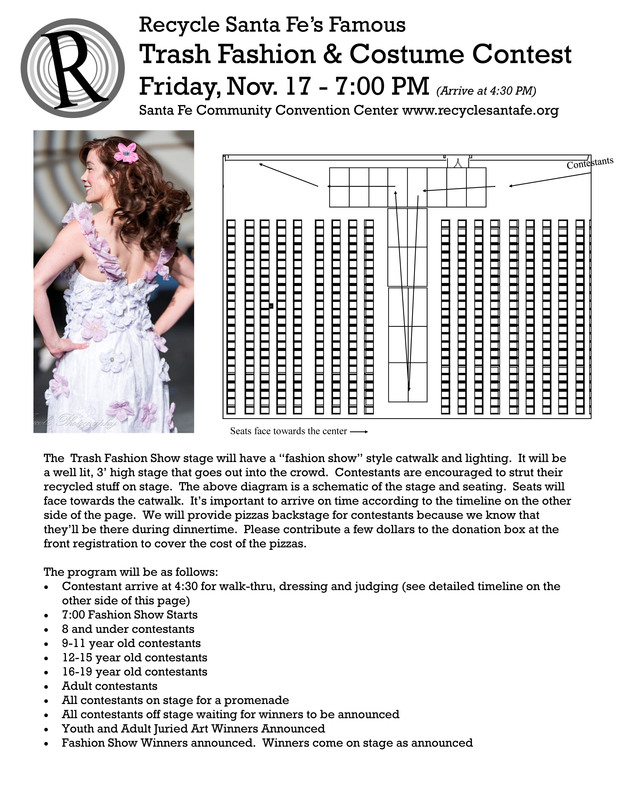 The Fashion Show/Contest will be on Friday, November 17, 7:00 PM (Contestants Arrive at 4:30 pm) at the Santa Fe Community Convention Center. You must enter by Friday, November 10. 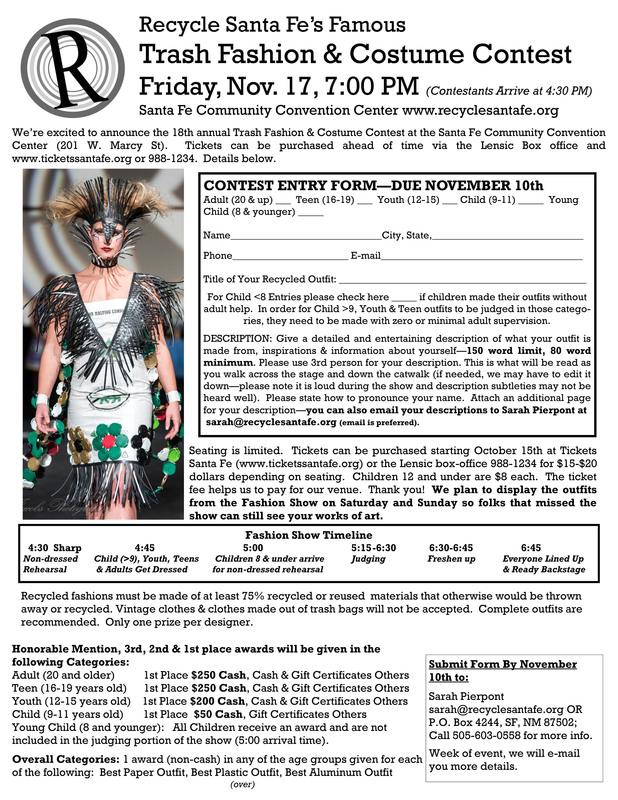 Click on the images to download the information and the entry form. Next Next post: BAG Annual Art Flea Market THIS SATURDAY!